Why would you need to hire the best popcorn ceiling remover to get rid of your popcorn ceilings? That’s exactly what we’re talking about today, so if you have popcorn ceilings that need removing we suggest that you read on to find out why it’s crucial for you to hire a professional to do the job for you! Why Hire the Best Popcorn Ceiling Remover? Popcorn ceiling removal sounds pretty simple, doesn’t it? All you need to do is scrape that stuff off the ceiling and get to work…right? NO! In fact, there is much more to removing a popcorn ceiling than most people know and if not done by the best popcorn ceiling remover…well, you could be looking at a fair few problems. Interested in finding out more? Check out some of these reasons why you need to hire the best popcorn ceiling remover you can find to do the job for you! Some of the earlier methods of creating popcorn ceilings used asbestos fibers to create that unique texture. At the time, asbestos was thought to be a durable and safe material for use when building homes. Unfortunately, we later found out that this was not the case and studies revealed that asbestos posed a variety of health risks to homeowners. The presence of asbestos in your popcorn ceiling is one of the most important reasons why you should get rid of that textured trend. It’s just as important to remove that asbestos contaminated material safely, however, to avoid exposing your family to even more contamination. When you hire the best popcorn ceiling removal company to take care of the job for you, you are ensuring that the proper safety precautions are being taken to contain asbestos fibers. This will avoid further contamination and prevent asbestos fibers from traveling into your air ducts and continuing a cycle of contamination. Not only will professionals like our technicians here at Safeair remove your asbestos contaminated ceilings for you, but they will always make sure that the contaminated material is disposed of properly. 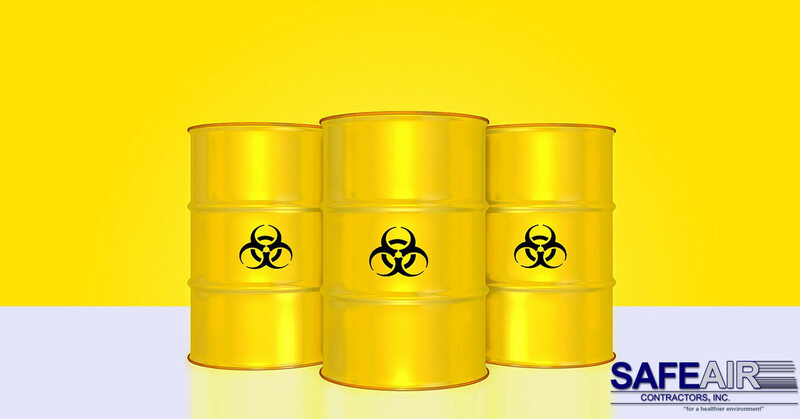 Without taking proper hazardous material disposal precautions, asbestos can further damage the environment! Popcorn ceilings were developed as a means of hiding imperfections in ceilings of homes and they were exceptionally popular from the 1950’s to the 1980’s. Unfortunately, the texture that hid imperfections and cracks in the ceiling also makes it conducive to collecting dirt and grime. Over the years dirt and grime get built up in the tiny nooks and crannies of your popcorn ceiling and when it comes time to get rid of that popcorn ceiling…well, you’re facing years of filth coming down on your face! 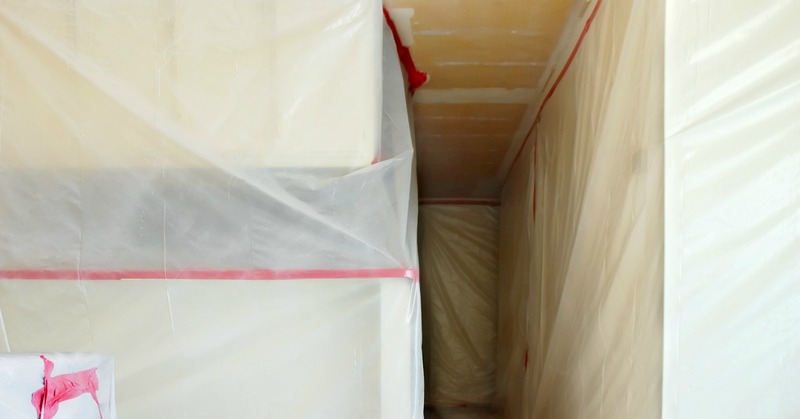 Hiring the best popcorn ceiling remover in your area will prevent this from happening but it will also mean that everything in your room is protected as well because reputable companies always lay down protective dropcloths to keep your belongings safe and clean! While the appeal of popcorn ceilings lay in its ability to hide imperfections in the ceiling of homes, this eventually leads to a problem. Since most of the homes with popcorn ceilings in them are now almost 40 years old, they are bound to begin needing repairs and maintenance. If you have popcorn ceilings, however, you are going to be less likely to catch cracks and other problems in your ceilings before they become a major concern. Left long enough cracks in the ceiling can cause serious enough structural damage that will make your home unsafe to live in. If you haven’t already, consider hiring the best popcorn ceiling removal company to get rid of that textured mess so that you can properly monitor your home for signs of age. One of the first reasons why homeowners want to get rid of popcorn ceilings is simply because they are outdated and not so visually appealing. This is, perhaps, the least of your concerns, however, when you consider the problems noted above. Even if you are considering removing your popcorn ceilings due to aesthetic reasons, it’s still important for you to consult a professional to do the job for you. Why? Because just because you are removing the ceiling for aesthetics doesn’t mean that they aren’t contaminated or potentially contaminated. When you move into a home with asbestos ceilings there are a few things that you should keep in mind. Most notably, not all popcorn ceilings are contaminated with asbestos fibers. You should also note that in some instances you may be advised to leave your ceilings in place. Why? The thing with asbestos fibers is that they don’t necessarily pose a risk to your health unless they become airborne. That means that damage to the ceiling via flooding, chipping, maintenance issues, or normal wear and tear, can send asbestos fibers into the air and cause health risks to your family. If there is no damage to your ceiling the asbestos fibers remain contained, however, attempting to remove the popcorn ceiling will create damage that can cause those asbestos fibers to become a problem. Looking to Hire the Best Popcorn Ceiling Remover in Ohio or Pennsylvania? If you’re looking for the best remediation company in Ohio or Pennsylvania to take care of your popcorn ceiling problems, give us a call. Here at SafeAir, we have been providing remediation services to Pennsylvania and Ohio for 25 years and we pride ourselves on providing the best services at affordable prices. Give us a call today at 440-639-1191 to see how we can help you!